Ant and Dec have made a very wise decision to re-launch their all-time hit song ‘Let’s Get Ready to Rhumble’ on Saturday Night Takeaway. It’s been almost a decade since the decade has sing their 1994 pop hit but it seems that their fans were more than excited about this comeback because the song has reached the number one position in the iTunes chart by Monday. ‘Let’s Get Ready to Rhumble’ is becoming a real contender to take the Saturdays place in the Official Chart, when the chart will be revealed on Easter Sunday. What’s ironic is the fact that the song is doing better now than it did when it was originally launched, because in 1994 it only reached no.9 in the charts. People have been downloading the song massively since Ant and Dec’s performance on Saturday Night Takeaway. This episode of Saturday Night Takeaway featured some of the bands from the Big Reunion show, like Atomic Kitten, 5ive and Blue. But the biggest revival was bringing back PJ& Duncan, Ant and Dec’s characters when they were staring in the children show Byker’s Grove. They’ve rapped and pulled off the original dance moves, and that brought them their highest ratings so far, with 8.24 million people tuning in to watch. After hearing that their song is quickly reaching the highest positions of the iTunes chart, Ant tweeted: This is getting ridiculous now! , followed by What a show last night. Loved it. Aching all over mind! Dec also took it on Twitter saying: Had the weirdest dream. Dreamt me and Ant did #LetsGetReadyToRhumble live on telly… oh, hang on… that actually happened didn’t it? 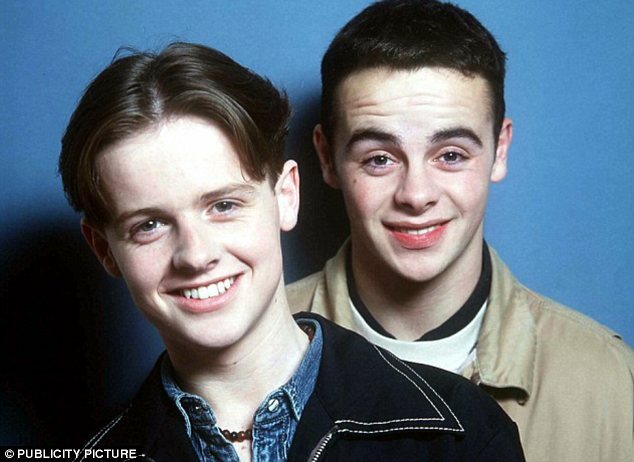 In their music career, Ant and Dec had 14 hits between the years 1993 and 1997 but ‘Let’s Get Ready Rhumble’ was their highest charting single. They came back in 2002 releasing the official anthem for the World Cup, ‘We’re On The Ball’, which reached a number three position in the charts. Meanwhile, Ant and Dec have big plans for their variety show, wanting to take it to the US screens. We want to take Takeaway to the States as we think it’s a great show. We think it would be brilliant for the American audience.It could be great. It’s the right time to give it a crack. USA Takeaway should work so it’s something we think would be really good to do and make happen, Ant said. The show has proved to be a success for ITV since its return after a seven year break, with ratings soaring every Saturday night.